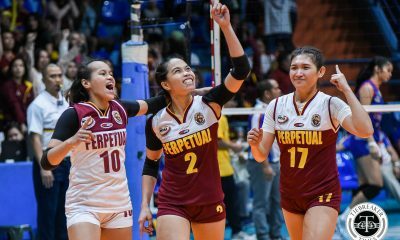 In a battle of the last two NCAA champions, the retooled Season 92 titlists Arellano University Lady Chiefs smashed the queens of Season 91 College of Saint Benilde Lady Blazers, 25-21, 25-22, 25-17, in the first match of the Women’s Collegiate Conference at the FilOil Flying Centre. Arellano raced to big leads early in each set as Benilde consistently fumbled their first touches. The Lady Chiefs earned a 22-17 lead to seal the first set. Taking charge with a 23-16 advantage in the second frame, the ladies from Legarda relaxed and allowed their Taft-based foes come within two points, 24-22. Regine Arocha, however, had the finishing blow, going down the line to give the Lady Chiefs a 2-0 lead. The defending NCAA champions then cruised in the final set of the match, scrambling Saint Benilde’s defense and sprinting to an insurmountable 16-9 lead. 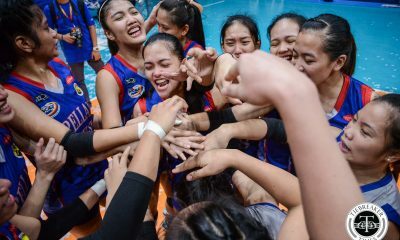 With six new players coming in, Arellano head coach Obet Javier emphasized that his team is still developing chemistry. 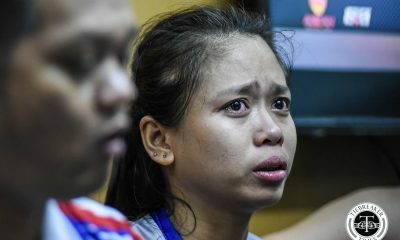 “Mahirap kasi maraming bagong players. 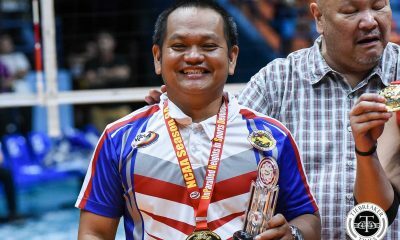 Talagang hinahanap pa namin ‘yung tamang halo ng players sa loob ng court na hopefully makuha namin sa tournament na ‘to,” Javier said. 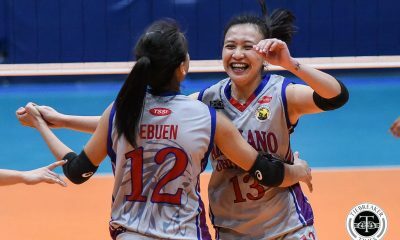 Season 92 Finals MVP Jovielyn Prado and middle hitter Anne Esguerra led Arellano with 14 and 13 points, respectively. The Lady Chiefs were dominant in every category, most especially in spiking where they powered in 47 hits to CSB’s 31. A transferee from National University, Klarissa Abriam was the lone bright spot for Benilde with nine points. Her fellow former Lady Bulldog Marites Pablo added seven. 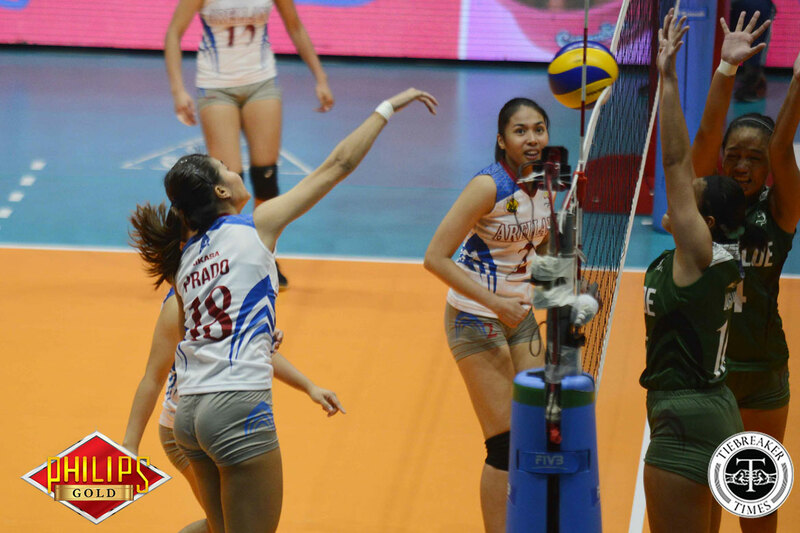 The Lady Chiefs play the San Beda Lady Red Spikers next on September 6 at the FilOil Flying V Centre. The Lady Blazers face also take on San Beda on September 13. AU (3) – Prado 14, Esguerra 13, Arocha 9, Ebuen 9, Marzan 6, Ramirez 3, Donato 1, Balanoba 0, Torres 0, Verutiao 0, Flores (L). CSB (0) – Abriam 9, Pablo 7, Musa 6, Austero 5, Ventura 4, Engico 3, Daguil 2, Lim (L).